The Nord Family Foundation is a national, grant-making organization. The Foundation, in the tradition of its founders, Walter and Virginia Nord, endeavors to build community through support of projects that bring opportunity to the disadvantaged, strengthen the bond of families, and improve the quality of people’s lives. The Foundation seeks an intellectually curious, creative and high energy person to serve as Program Associate. The Program Associate will be responsible for conducting site visits, reviewing grant requests, monitoring and evaluating programs, and developing and managing projects in the fields of education, neighborhood and economic development and public service. While the Foundation is headquartered in Amherst, OH – the Program Associate’s work will include projects in Boston, MA; Columbia, SC; Cuyahoga County, OH; Denver, CO; and Penn Yan, NY. The Program Associate is also expected to participate in professional associations, as well as attend regional and national conferences. At least 25% travel is required. The position reports to the Executive Director. Bachelor’s degree in relevant field. Advanced degree preferred. At least two years of experience in nonprofit and/or public-sector work. Motivated self-starter and can work independently. Strong project management and operational experience. Demonstrated ability to think creatively, collaborate and handle constructive feedback. Excellent written and verbal communication skills, along with genuine interpersonal skills. Commitment to lifelong learning, personal and professional development. Willingness to carry out The Nord Family Foundation’s mission. This is a full-time position with a generous benefits package. Compensation is commensurate with experience. Please submit a cover letter and resume to AnthonyRichardson@nordff.org by Friday, February 15, 2019. 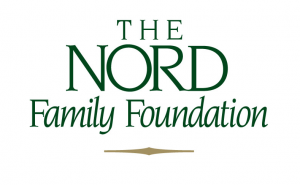 The Nord Family Foundation is a successor to the charitable trust originally established by Walter G. Nord in 1952. The predecessor organization contributed more than $12 million to a variety of charitable causes between 1953 and 1988, primarily in Lorain County, Ohio. The Nord Family Foundation has contributed more than $126 million to nonprofit organizations in northern Ohio and selected geographic areas of family interest. The Nord Family Foundation is an equal opportunity employer, without discrimination because of race, color, ethnicity, religion, gender, age, sexual orientation, marital status, national origin, disability, or any other protected class established by law.